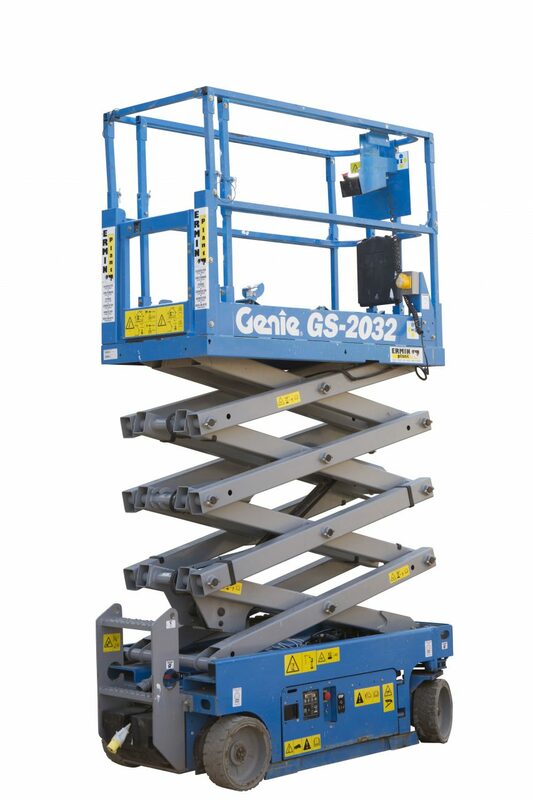 We can supply a wide range of scissor lifts starting with the Genie GS-1532 electric scissor (15′ high, 32″ wide) and we go up to the GS-4069 (40′ high, 69″ wide). 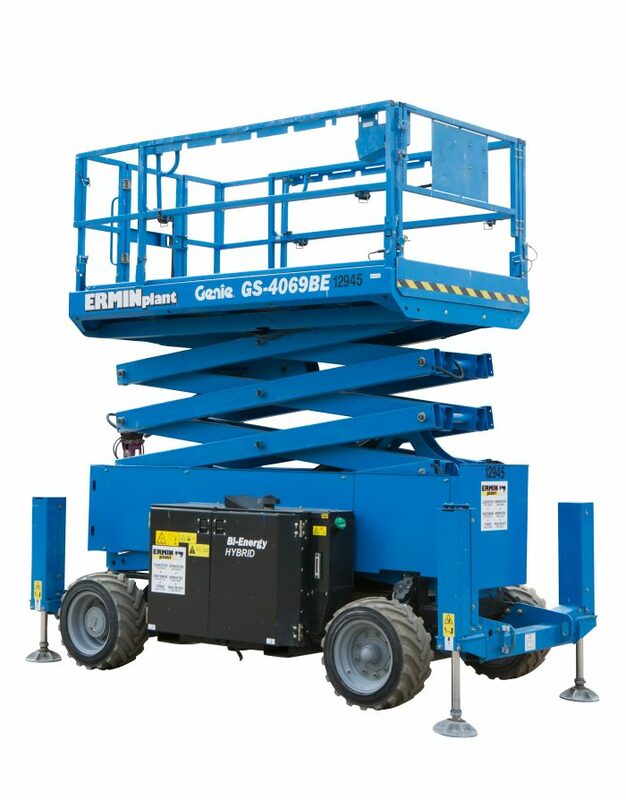 We have scissor lifts available powered by electric, diesel and even BI-Energy machines. 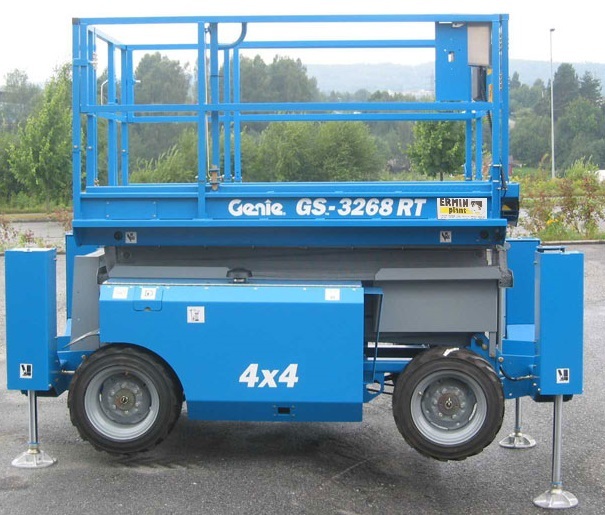 All of our scissor lifts are made by Genie which we regard as a quality manufacturer. 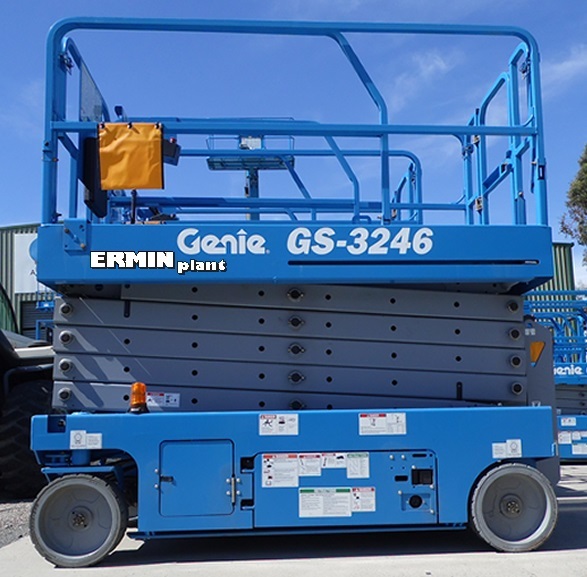 Our 26′ (7.92m) and 32′ (9.75m) diesel scissor lifts are all available in rough terrain and some have self-levelling legs to suit all kinds of terrain. 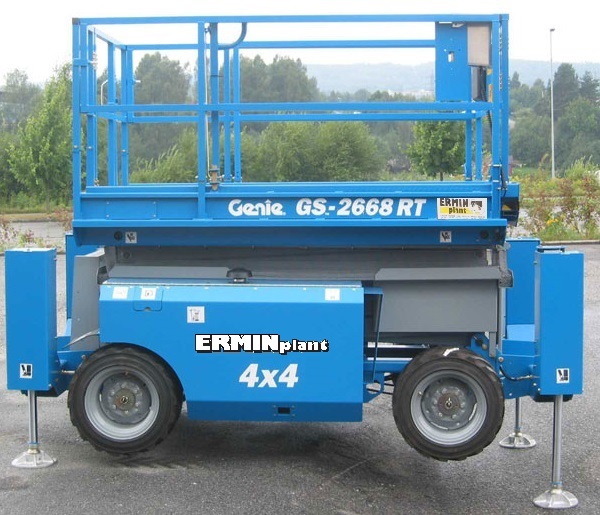 We supply to private DIY customers as well as professional and industrial customers. 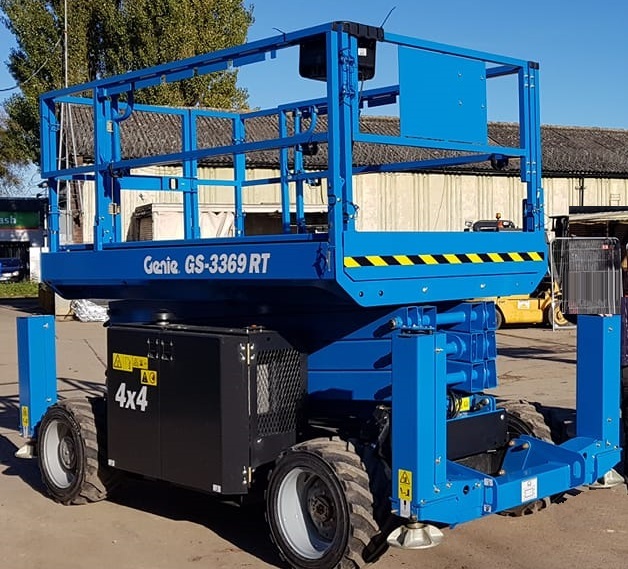 We have a wide variety of scissors lifts available up to 12.12 metre platform height – an impressive 14.12 metre working height (Scissors that are; mobile, self-levelling, rough terrain, diesel, battery, bi-energy). 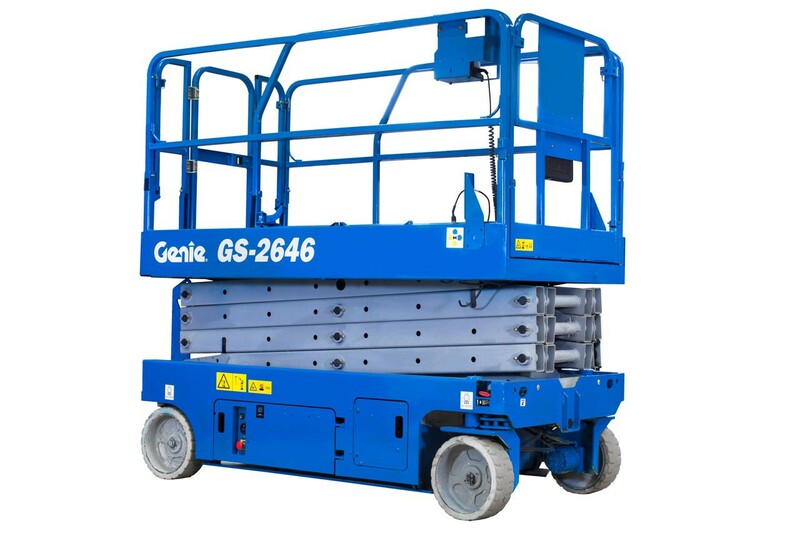 We can supply a huge range of scissor lifts, boom lifts, alloy towers, ladders, steps, trestles, boards and props for hire. 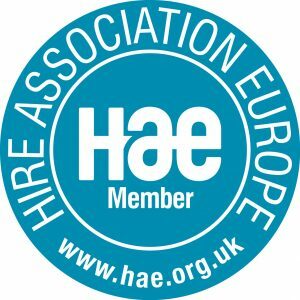 Click on the product titles below for full specifications.